The concept of singing has been around since the beginning of time. Even before civilization came to exist, one of the forms of communication was seen to be done via singing. Even Today, in every culture, be it our modern, developed cultures, or nomadic, tribal cultures, or even in the animal world, the significance of singing still holds its place. Admittedly, almost all of us had dreamt to be a world famous singer someday. Whether we like to showcase our singing skills in front of our own audiences, at karaoke parties, by joining choirs or singing groups, or whether we fall into the other category of people who only sing in their bathrooms, singing is an activity which almost every human being seems to be doing. Some people are naturally blessed with a good and perfect singing voice. These people usually have the sweetest voices, and can naturally hold a tune. On the other hand, there are those who couldn’t sing even if their life is depended on it. In either case, you shouldn’t deprive yourself of the joy, that is singing. After all, the joy you get from singing along to your favourite song, or just singing in front of your choice of audience, can never be compared to any other joy. 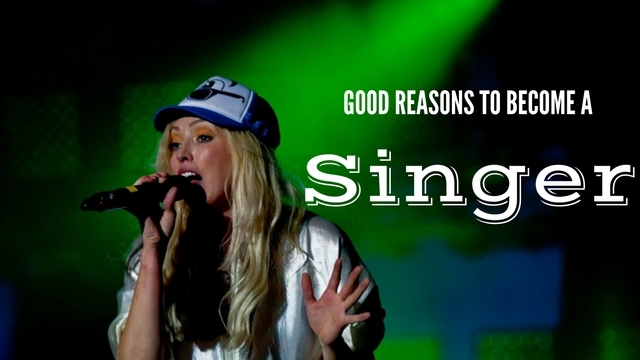 Still not convinced that you should ditch your job and follow your dreams to become a singer? Read on to find out reasons why you should grab the mike, and start your new dream career! The following mentioned are few singing tips on how to sing better and how to become a singer. It wouldn’t be wrong to make the statement that singing is a universal language. We can further confirm this statement when we realize that most of us have that one favourite song, which is in a language that is not your mother tongue. Yet, our love for the song does not decrease. Some people go to the extent of even finding out what the lyrics of the song mean, so that they can get a better understanding of their beloved foreign song. That being said, it is important for you to know that singing is not only considered a recreational activity anymore. There is evidence to prove that singing is actually good for your health. When you engage in the activity of singing, you are not only exercising your vocal chords, but also utilizing your lungs to their maximum capacity. Your lungs are on your service 24/7. When you are singing, you are actively increasing the capacity of air in your lungs. This also causes more blood to rush and flow through your lungs and vocal chords, thus, giving you a healthier system. Not only are you filling your lungs with fresh air as you sing, you are also exercising your heart. And as you know, a happy heart is a healthy heart. So go ahead, and make maximum use of those lungs that have been given to you! Happy hormones are those hormones produced and excreted by our endocrine system which is responsible for your moods and general mental health. Some of these ‘happy hormones’ are oxytocin, serotonin, and increases endorphins in the brain, which is responsible for giving you that feel of good factor. So next time you are feeling blue, just pick up that shampoo bottle, pretend it’s a mike and you’re on stage with hundreds of fans cheering on for you, and sing to your heart’s content! It is sure to make you feel better about yourself in no time. The moment you realize you are a good singer, one of the first natural instincts you will get as a human being, is to try and turn it into a profession. Since time immemorial, singing has been considered a talent which must not be hidden behind closed door. From family gatherings to king’s courtesans, singing was not only a form of entertainment but also a good way to make a living. In today’s modern world, we are familiar with most of our local as well as international famous singers- Elton John, Prince, Beyoncé, and Michael Jackson, to name a few. These singers have become almost overnight superstars due to their career in singing. So if you consider yourself to be a decent enough singer, put on your best dress and get on the next talent show. Who knows, maybe you can be the next Beyoncé? Many of us aspire to be singers since we are children. It is believed that everyone has a calling in life- something that they you are best at, something you were born to do. Many people might feel that singing is their calling in life. They work hard since childhood to achieve this dream; be it singing classes, every day’s routine practice of your singing, and testing out your talents at school shows or parties. If singing is your dream too, what are you waiting for? There is nothing more satisfying in this world than the feeling of having fulfilled your lifelong dream. Your career in singing might not only fulfil your dream as well as your pocket, it might help you achieve that glamorous life and fame which you envy your favourite pop star for having. It is scientifically proved that singing not only helps your lungs, heart and vocal chords, but also benefits your voice, making it more pleasant to the ear. Singing or vocal exercises for singers are very helpful for throat muscles and should be done regularly. Singing can help give you clarity of speech, an overall improved talking voice, as well as offer you improved speech. You know how some people say, “oh, doesn’t she have the most beautiful voice?”. Well, that could be you too! When you start actively singing, you not only use your vocal chords, lungs and heart, but you are also using your brain and your inner musical ear. You will find yourself starting to appreciate music on another level now. You will have a greater appreciation and understanding not only for your own music, but also for other people. This, in turn, will allow you to become a better listener, as you will pay more attention to people’s voice and tone. All the physical and emotional benefits of singing have already been stated here, but did you know singing is good for your brain too? Not only does it help release those feel good hormones and makes you feel on top of the world, singing is also good for your concentration power and your memory. This is because when you are singing, you have to memorize maybe a hundred or more songs. Memorizing, understanding the inner meaning, and appreciating songs and lyrics are basically an exercise for your brain. Singing is not only considered an art, it is also, in some ways, a science. Singing requires you to control your voice and tone, use your lungs and throat to their maximum capacity. You need to have a good understanding of musical notes as well as have a keen ear. This activity helps increase your powers of concentration. Singing has been considered a way of self expression for centuries. Be it birds singing in their beautiful voices, or human beings singing to express their joy, sorrow, love or hatred towards someone or something, singing has always been a good medium of expressing yourself. Singing increases your self confidence and poise, and also helps in character building. It is a common activity which almost every human being is seen doing- when you are happy, you sing along to your favourite songs on the highest volume, when you are sad, you are automatically more inclined to listen to sad songs, and when you are in love, you find yourself hearing songs and singing along almost everywhere you go! 9. You can act like a complete diva! You come across these stories more often about your favourite celebrity singers- their high end demands, their angry fits, basically, acting like a complete spoilt brat. While you might outwardly act condescending towards this behaviour, on the inside, you know you are just dying at your chance to act like a diva. Well, if you become a singer, you have high chances of doing so! Singers often act like the biggest brats, and most of the time, people feel happy to give in to their demands. So get singing, and act like the diva you always wanted to be! You wait for days, even months. Save up each and every penny. Stand in line or keep yourself awake for the online bidding to begin. After all, your favourite singer is making a stop at your city for their world tour. 11. You will be rich! Now this statement is directly proportionate to how much fame you are able to capture in how little time. But if you are able to rise up the ladder of fame fast enough, you will find yourself swimming in a pool of money, literally! As a famous singer, you will have the chance of purchasing several homes all over the globe (if you are able to earn enough, that is). You will also have several cars and chauffeurs at your beck and call.Basically, you would be living like a king, without the actual responsibilities of a king. The list will go on and on, about why you should become a singer, but the main reason here, is because singing is an all-round activity, benefiting not only you, but also those around you. Singing has been seen to heal many people, through the music, or the words. Singing lifts up your own mood as well as your audiences. Now that you have seen all the reason why, don’t waste another moment in front of the screen, and go ahead and pursue your dream!